Confessions of an ADD English Teacher: costumes! Confession: I've spent the better part of this week sewing Halloween Costumes. Three days. Two costumes. I better score mega cool mom points for this. So many of the costumes in the store just don't hold up well. For most families, this isn't a big deal. The kids wear the costume one night, maybe a few more times, but they don't get regular use. The costumes are relatively disposable. That's not the case for our family. We have a huge storage box full of costumes. I love costumes. I particularly enjoy seeing my kids play dress up. 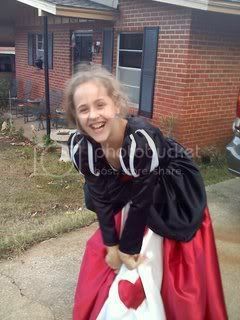 Even Leelee plays dress up still. She doesn't call it dress up. She calls it Make Overs and puts her sisters in costume and does their make up. Then they put on a fashion show. It's still dress up. Our costumes need to last. They are played with as much, if not more, than the regular toys. And so, I'm pretty much forced to make their costumes each Halloween. They practically have to twist my arm to get me to do it (ha ha). Actually, I love to sew costumes more than anything else, except maybe aprons. I love the fantasy. The kids faces light up. They get to play like little kids! What's not to love about that? 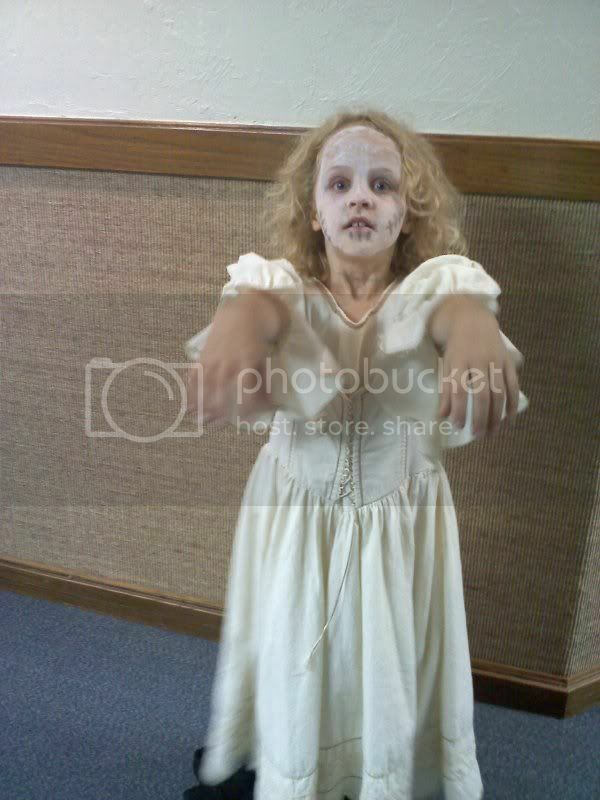 Little B was your garden variety zombie. Quite literally. 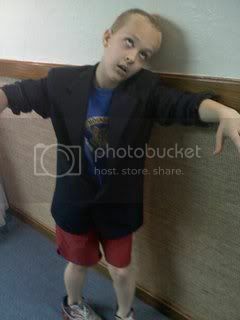 A zombie from Plants vs Zombies. 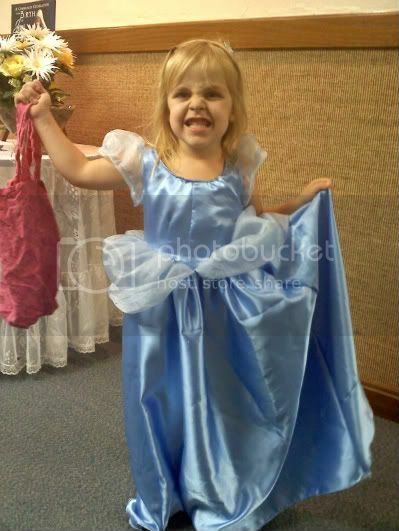 First up, Miss Fabulista as Cinderella. This is a costume I made. It took me about two hours and cost...$7! 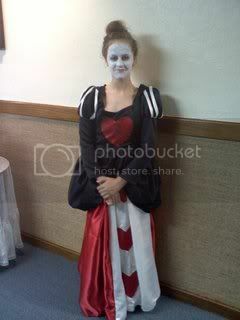 And my crowning achievement (or what really took up all my time)...Leelee as the Queen of Hearts. This costume took forever to complete and a large amount of fabric. I made some mistakes (like forgetting a crucial bodice adjustment) and had to pin the bodice up on her shoulders. 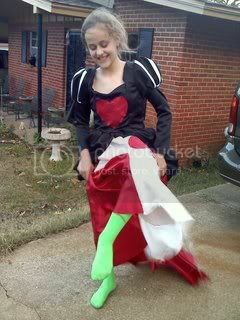 But it looked fabulous on her and I'm pretty much the only one who notices the mistakes. Christmas apron swap is posted! That little girl is looking so scary in white dress and really suits as Frankenstein wife.